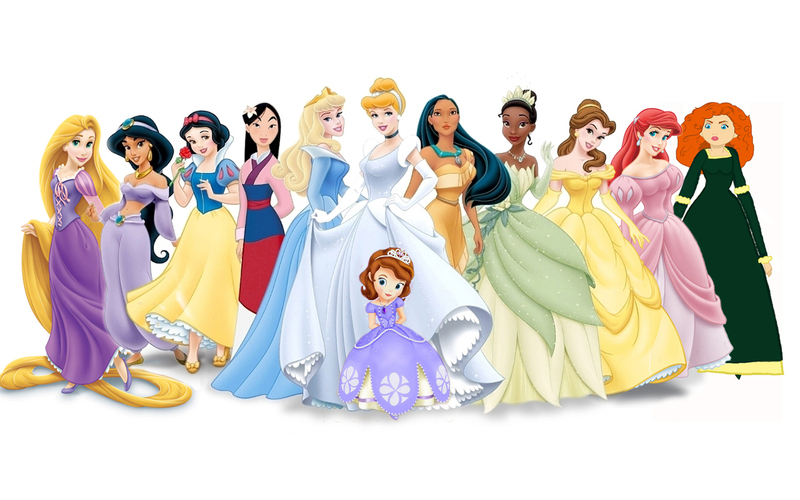 ডিজনি princess lineup. . HD Wallpaper and background images in the ডিজনি Leading Ladies club tagged: disney princess. Who is that little one in a purple dress and I know the redhead on the edge is from Brave. The little one is called Sofia, she is from the new disney TV film "Sofia the first" on the new channel disney junior.